Apple is one of the world’s most valuable brands, with something approximating $1 trillion in market capitalization – the first company to reach those dizzy heights of evaluation. It may be hard for us all to remember a time when Apple was not top of the heap, admired for their innovation as much as their desirable phones but the company has faced an existential threat more than once in its life. The modern Apple company is built on the success of the iPhone. With the arrival of 5G, coming soon, Apple faces a new threat, one which is likely to disrupt the most important part of their business – iPhones. Let’s find out how 5G could destroy iPhone’s advantage! What is a Chromebook and Why Should We Care? 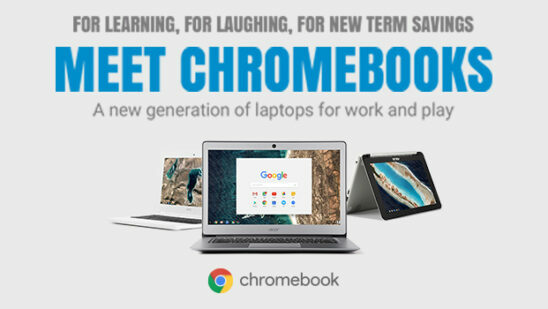 Chromebooks have been around for more than 5 years now, a testament to Google’s forward thinking. They’re inexpensive laptops with relatively slow processors and small amounts of on-device memory. They fulfill the tasks their users require of them with a simple ‘thin’ client – the Chrome browser – a gateway to a world of cloud services. There’s no bloated Operating System to tie up resources. There’s no requirement to pay $100 a year for Microsoft office. Everything the Chromebook does is in the cloud. To give you some idea of the cost difference between a Chromebook and it’s equivalent: An ultraportable laptop (the laptop equivalent to an iPhone) in the US could be priced anywhere from $1000 USD and up. Chromebooks typically retail for $200-$300 USD. They’re less than a third of the price. In some senses, Google is halfway there. Not only do they license Android, for free, to handset manufacturers, they own ‘Pixel’ smartphone range (while currently being every bit as expensive as Apple’s) is built around Google’s cloud services. Storing photos in the cloud is free with a Pixel phone and the device. Why Would 5G Change That? iPhones have one distinguishing aspect to them. They’re expensive. The components involved, all bought from sources outside Apple, make up very roughly half of the cost. The rest of the ‘value’ created around the product is the Apple brand. 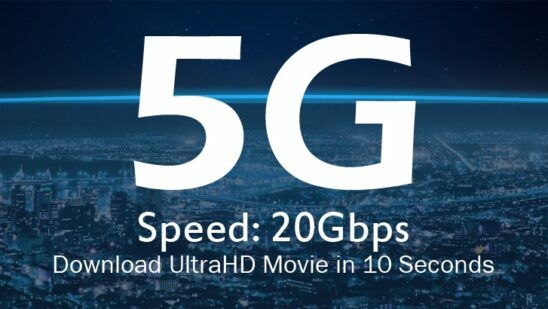 5G’s superfast network speeds and ability to connect without any sort of delay (technically, this is called ‘zero latency’ ) could well mean that phones become more like Chromebooks than the devices we currently take for granted. Prices could fall enormously, up to 70% using the laptop equivalency test. Smaller, more nimble, often Chinese based manufacturers like Oppo and Huawei, who currently make and sell Android phones with incredible specs for prices in the region of $200, would stand to win in this sort of environment, not Apple. Apple is far from sleeping when it comes to technology and the consumers who use it. The company is one of the few in the world who operate in a ‘post-digital’ way, a model that Apple, in large part, help Google and Microsoft create. When 5G arrives, when every artifact in the world is connected to the internet and everything is stored in the cloud, we will expect an ecosystem of services to access on the mobile Internet. Apple’s iTunes store provides apps, Music, and video. Their iCloud services will give users a depository in which they can store their pictures and documents. You’ll be able to get your ecosystem through Apple. Apple may lose on the hardware (iPhone) side of the shift to 5G services, but it is one of the few which stands to win in a more cloud-based future. was released, it was the most expensive phone Apple had ever manufactured but sales didn’t fall. This said, if Apple is famous for one thing, beyond the cloud services covered above, it’s for reinventing itself. Apple’s core skill is innovation. It doesn’t just churn out products, it defines and populates categories of products for the mainstream. They were first with the iPod, seeing the promise of digital storage. They were one of the first with tablets, bringing iPads to the mass market for the first time. When 5G comes to market, there will still be some consumers willing to pay a premium to be an ‘Apple Person’. With an estimated 50% margin in their current generation of iPhones, there is room to compromise on price and still make a profit with the range. Beyond that, their cloud services revenue will undoubtedly rise. Finally, there is the Apple ‘X’ factor. If, given the revised economics of 5G, they came out with a disposable phone which you rented a month at a time and was posted to you like the Dollar Shave club did razors, would you really be that surprised? 5G may pose another existential threat to Apple’s iPhone business but they have seen and weathered those before.